The growing arts community in Cornwall and Stormont, Dundas & Glengarry is rich in talent and vision. Local artists are readily accessible through area galleries, playhouses and concert halls. Live music can be found in every hamlet and village in the region. Informal concerts are offered through church or community halls and often feature a rotating lineup of musicians celebrating the region’s Gaelic and Francophone roots. Many area restaurants and pubs also feature live music on the weekends. Local theatre productions feature some very talented local actors and musicians and thought provoking set-design and direction, and are very popular with visitors and residents alike. Located on the campus of St. Lawrence College, Aultsville Theatre is a large, 680-seat auditorium that welcomes all forms of performing arts to its stage. Since 1976, Aultsville Theatre has hosted world class performances in its spacious theatre. 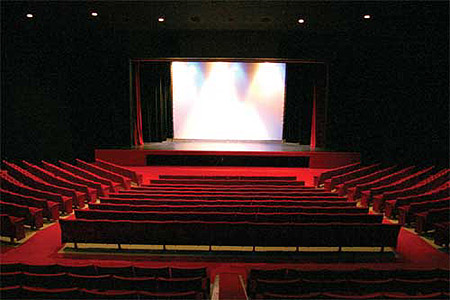 Audiences and performers alike enjoy excellent acoustics, with no seat more than 90 feet from center stage! Aultsville Theatre is a community theatre with professional capacity. Located in central Cornwall on Montreal Rd., The Port Theatre is iconic to Cornwall. Originally titled The Roxy, the Port opened in December of 1941 to glowing success. The Port Theatre brings you live events and world class music, all while delivering a great cinema experience. Featuring a full-sized stage with top-notch PA equipment, in house sound engineers, a 450-capacity room featuring an upper balcony, and a new fully licensed drink bar, The Port Theatre is a great choice. The Playhouse is located in a former Toothbrush and Argyle Sock Factory, converted to a charming, intimate, climate-controlled, accessible and totally-equipped theatre with plenty of parking, licensed canteen and state of the art seating where everyone’s close to the action. In 1970 a fire consumed the church of St. Raphael’s, one of the earliest Roman Catholic churches in English-speaking Canada. Fortunately the outer walls were spared and today its impressive scale and fine masonry work continue to attract the tourists to the site. The outer walls make for a perfect place for acoustic sounds. St. Raphael’s is host to Classiqu’Arts. This annual classical musical event features local, national, international and First Nations renowned musicians and dancers, as well as young emerging talents, set in a sublime national historic site. The St. Lawrence Acoustic Stage is a venue for both professional and emerging musicians and songwriters. What began as a showcase of local artists in one or two shows per season has now grown to an eight show season which runs from Fall to Spring each year. The Old Town Hall is home to the Dundas County Players theatre group. The County Players have been providing plays, cabarets and dinner theatre since 1996. With a capacity of 80 people this centre is also great for meetings and presentations. The front space is excellent for heritage displays, art shows and special events. You can also take home a piece of art with you by visiting the growing number of artist studios that dot the landscape. Explore the rich colours of acrylic, oil and watercolour on canvas, forms brought to life in wood, metal and clay or even try your hand at creating your own glass sculptures. Find your muse in Cornwall and Stormont, Dundas & Glengarry. 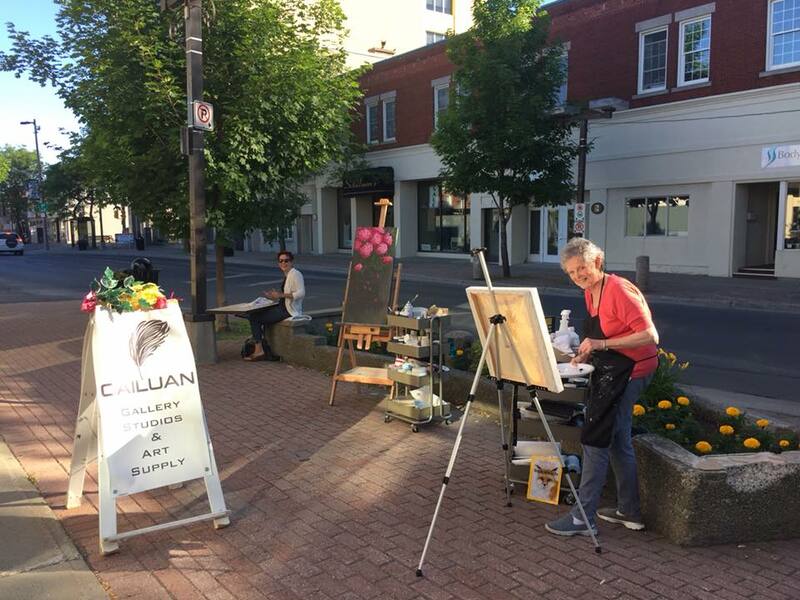 Supporting local artists, Cailuan Gallery offers a wide range of art products, classes, workshops and Gallery space rental for special occasions. The Cline House Gallery is owned and operated by two well known artists in Cornwall, Tracy-Lynne Chisholm and Emily MacLeod. The gallery will feature a rotating collection of art from a wide variety of artists who work in watercolour, oil, acrylic and mixed media. There will also be a number of sculptures on display as well. 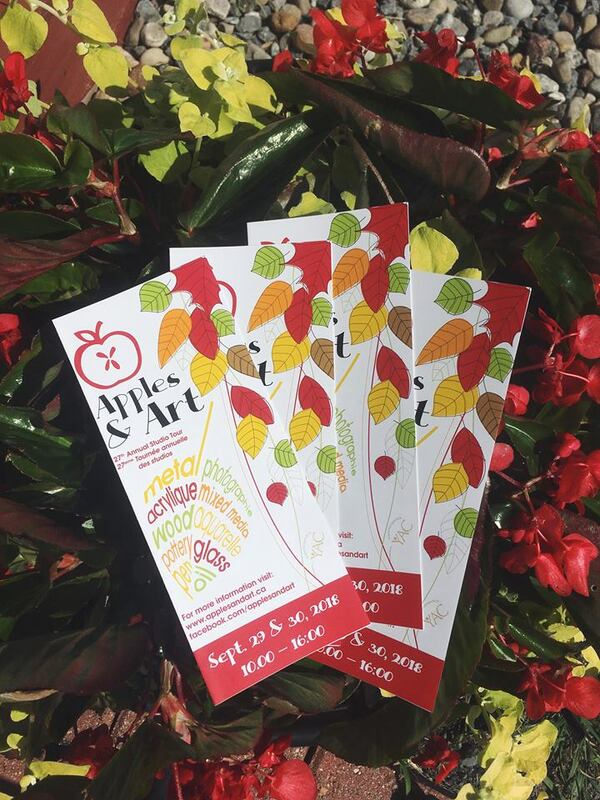 The Apples and Art Studio Tour is an annual event that gives art lovers the rare opportunity to travel throughout Cornwall and the Counties and visit art studios and experience demonstrations and exhibits of some of the most talented artists the region has too offer, with some delicious apple treats along the way. Enjoy a beautiful autumn drive throughout the region, visiting art studios and host locations to get a glimpse of just what our region’s talented artists can do. Back to the Explore page.